* Palmetto Bay Village Center. The Beacon Council is currently working with 122 companies, some of which are thinking about locating in South Dade including a pharmaceutical business, medical-device company and a global manufacturer. 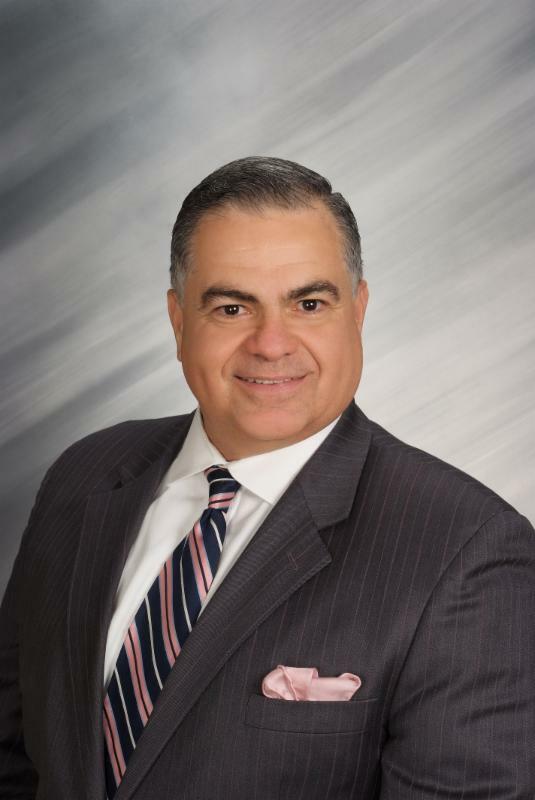 Military Miami-Dade, a program of The Beacon Council and the State of Florida Department of Economic Opportunity, is presenting a business development workshop to help connect small businesses with government contracts. The program also focuses on the need to assist returning military personnel in finding employment and re-establishing their lives as civilians. 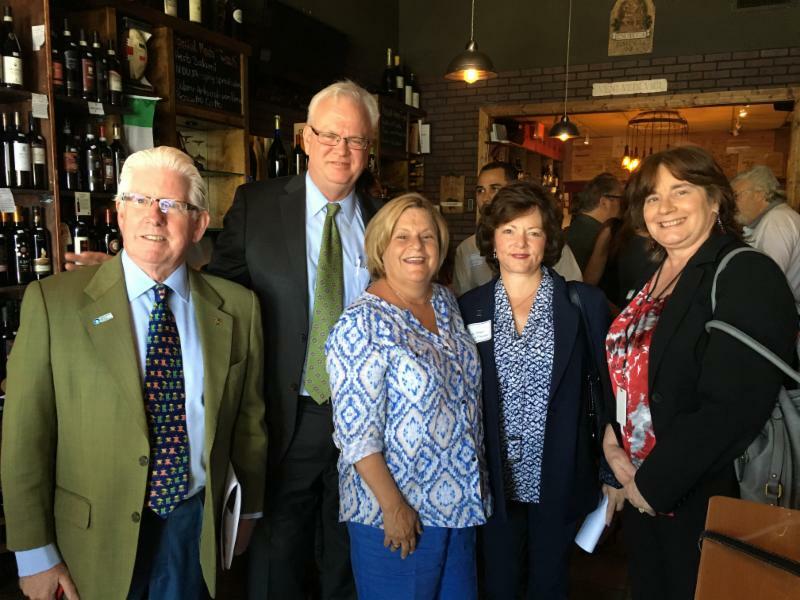 Military Miami-Dade has established the Joining Forces Miami program that encourages local businesses to hire returning military, veterans and spouses. Military installations represent a vital component to our economy contributing close to $6 billion annually and supporting thousands of well-paying jobs. 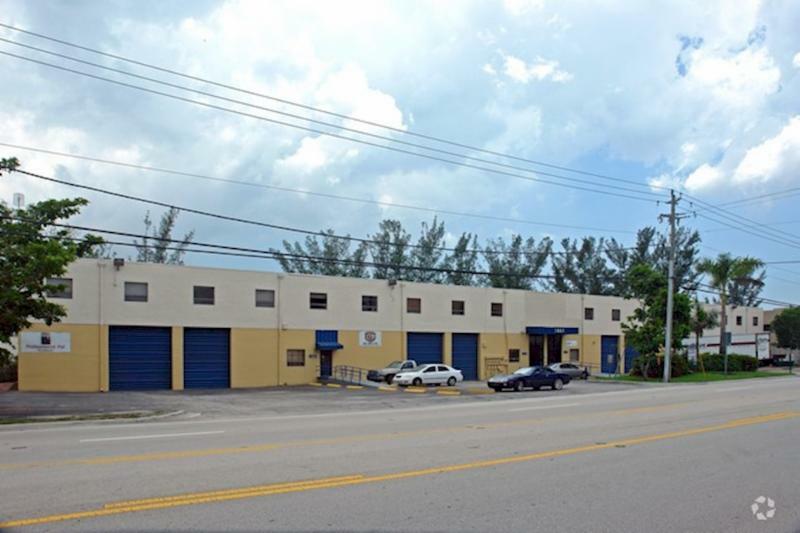 For more information, call 786/493-1754 or read more. 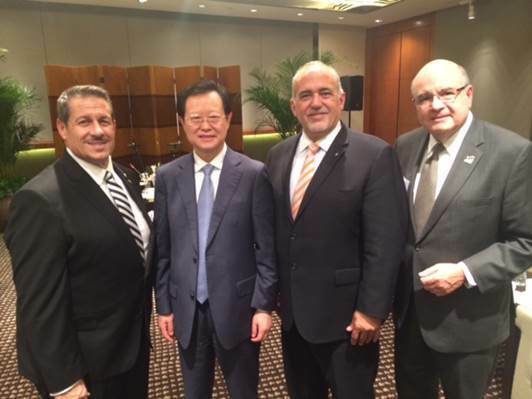 Miami-Dade Commissioner José “Pepe” Diaz, Vice Mayor of Shanghai Hon Zhao Wen, City of Doral Councilman Pete Cabrera and Beacon Council Mario Sacasa met at the Shanghai Municipal City Hall during the recent Mission to Asia. The initial results from the mission include 60 new business contacts and six new prospects. In related news, Miami International Airport officials recently hosted the second meeting of the MIA Asia Task Force to review the results of travel surveys from more than 100 local organizations that have strong business ties to the Asian region. The group also discussed next steps in its efforts to secure first-ever nonstop passenger service between Miami and Asia. I have lived in Miami since 1956 and grew-up in Miami Springs. I left Miami to live in Hong Kong with my family in 1965 and returned in 1971. My Dad worked for Pan American Airlines and was charged with managing Asia, LATAM and the Caribbean. I was invited by Larry Williams and Ernie Diaz to join The Beacon Council in 2013. 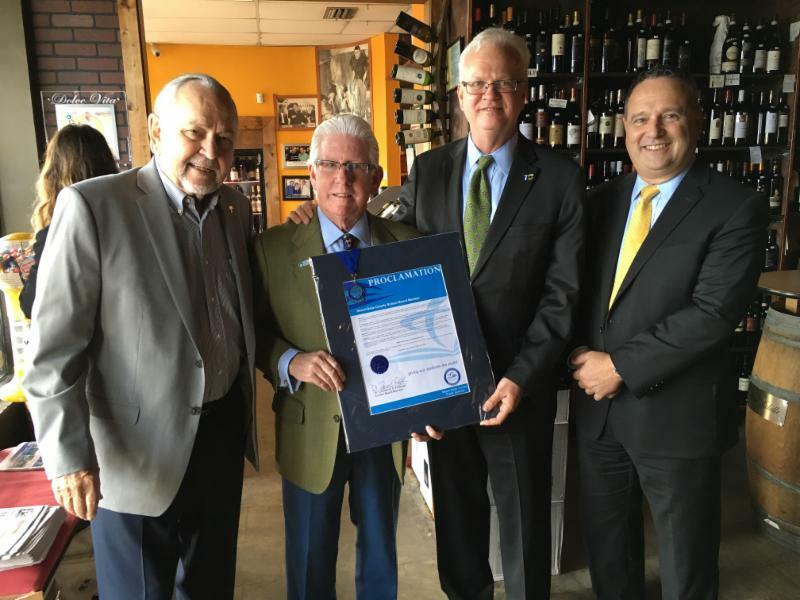 I’m proud to have served on other community boards including FIBA (Florida International Banking Association); GMCC (Greater Miami Chamber of Commerce); Florida International University Center for Leadership; the Chapman Partnership; Center for Financial Training; Boy Scouts of America; and World Trade Center-Miami. International business activity through airport, port, corporate, and small business entities. Too much traffic and related peak-time congestion. What do you like best about living in Miami?Our multi-cultural society and quality of life. Miami International Airport’s MIA Connections digital magazine was recognized with a Communicator Award. Published by HCP/Aboard Publishing for the Miami-Dade Aviation Department, the quarterly e-magazine won the Award of Distinction, which is presented to projects that exceed industry standards in quality and achievement. Freebee is changing the way people experience Miami, physically moving the masses through FREE, electric transportation. In addition to being a fun, alternative transportation option, each Freebee car simultaneously hosts its own marketing campaign for a variety of clients, which include both national brands and local businesses, allowing consumers to become more familiar with each product, service, or establishment. 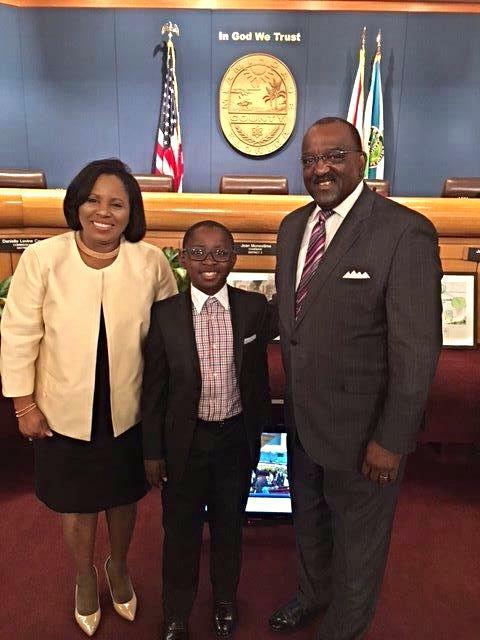 Miami-Dade Commissioner Dennis Moss, District 9, presented The Beacon Council CFO Camela Glean-Jones’ son Andrew with an art award.